Strains of Bacillus spp. Regulate Wheat Resistance to Greenbug Aphid Schizaphis graminum Rond. It has been found that the bacteria Bacillus subtilis Cohn. (strain 26 D) and Bacillus thuringiensis Berliner (strains V-6066 and V-5689) are able to suppress the vital activity of the greenbug aphid Schizaphis graminum Rond. The protective effects of the studied Bacillus spp. 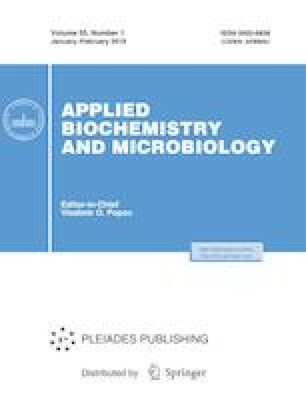 strains consisted of direct aphicidal activity, and they indirectly induce systemic resistance in wheat plants via the regulation of hydrogen peroxide generation, the activity of peroxidase and catalase, and an increased expression of defense-related genes, such us NADPH oxidases, PR-6, and PR-9. It has been shown that B. thuringiensis strains induced genes of the jasmonate-dependent signaling pathway, and B. subtilis strain induced genes of the salicylate-dependent signaling pathway. It has been found that the composition of the studied Bacillus spp. strains had an additive effect of wheat plant resistance to pests. These results support the use of these Bacillus spp. strains as a basis for the further development of a biopreparation against cereal aphids.